She camps on the fringes, picking through the scorched remains of a broken family, wringing her hands over wrongdoing and non-machine washable fabrics. Cabin Fever is a danced eulogy - a woman escaping. Dianne Reid (hip sync) is a dance and screen artist who creates and performs work across multiple platforms—the abstract physical, the screendance filmic, and the written poetic. She was a founding member of Outlet Dance, Adelaide (1987–89), a member of Danceworks, Melbourne (1990–95), and a lecturer in dance at Deakin University since 1996. From 2004-2006 she was Artistic Director of Dancehouse before receiving an Asialink Performing Arts residency to India in 2006 at Darpana Academy of Performing Arts. 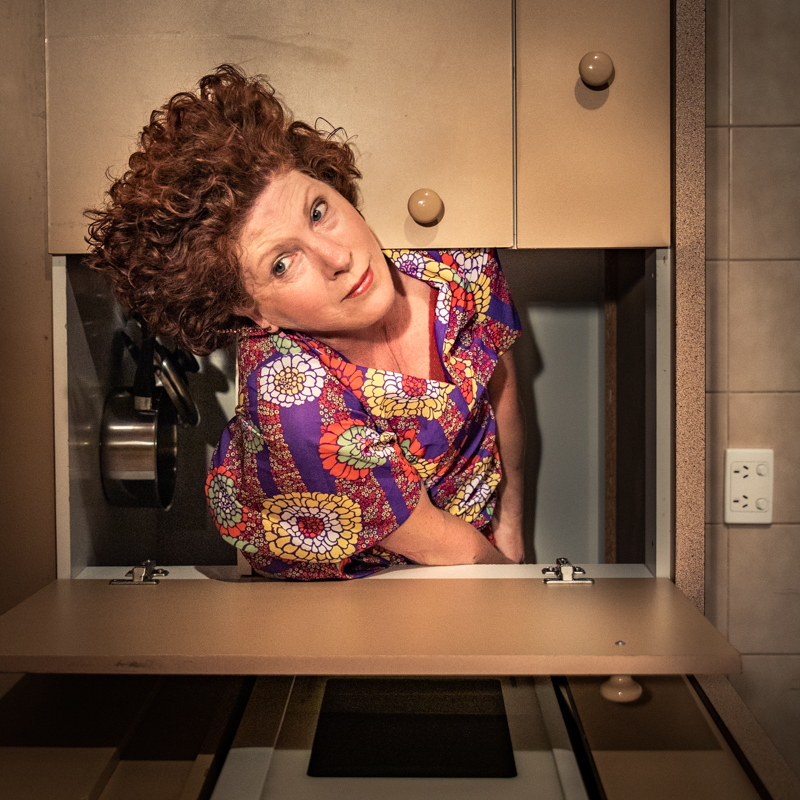 Dianne received a Best Dance nomination for her solo work “Dance Interrogations” at the 2012 Adelaide Fringe and 5 star reviews at the Edinburgh Festival Fringe. The work also won the Salamanca Moves award to be restaged for Ten Days on the Island (Tas).